The title of this article might sound like one of the adventures Dave Coulier, also known as Joey Gladstone, might have made up for Mr. Woodchuck in the enchanted forest of Ranger Joe, but unfortunately it's the sad truth. When Dave Coulier and Andrea Barber appeared on 'Funny or Die' Dave brought the heavily damaged ventriloquism doll and blamed Comet, the family dog on Full House for chewing on Mr. Woodchuck's face. 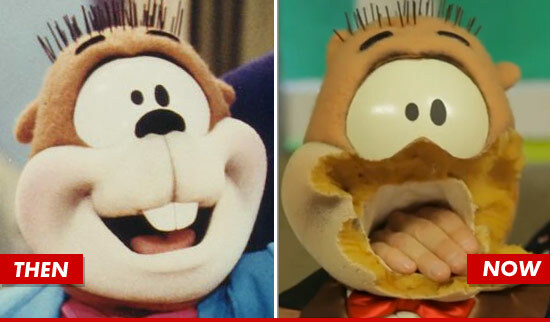 The truth is however, that Dave's own dog took a bite out of the woodchuck back in 1995, not long after the show was cancelled. The reason for this gruesome disfiguration is unknown, but knowing the woodchuck, there might have been a fight over a branch of.... wood.